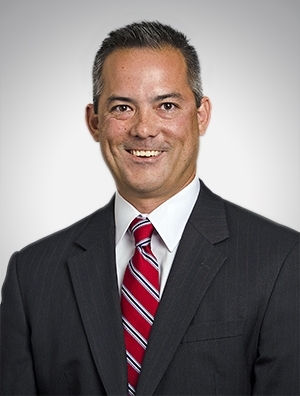 Edward Salanga represents businesses in construction and commercial litigation disputes. As part of his construction practice, Mr. Salanga represents lenders, owners and contractors in contract negotiations, contract performance and payment claims, scheduling and delay claims, construction defect disputes, title insurance claims and mechanics’ lien, stop notice and bonding issues. As part of his commercial litigation practice, Mr. Salanga represents direct sales and multi-level marketing companies in state and federal regulatory compliance and securities matters, as well as complex commercial litigation disputes, including class actions. Mr. Salanga also represents manufacturers of consumer water treatment products, plumbing components, heavy earth moving and industrial equipment, and material suppliers in product liability and breach of warranty disputes. Mr. Salanga is the National Chair of the firm’s Litigation & Dispute Resolution Group. He has also led the firm’s Real Estate and Construction Litigation Team. Representing one of the nation's largest public power utilities in a breach of warranty dispute involving power plant equipment. Representing a manufacturer of plumbing component parts in multi-district class action residential construction defect and product liability litigation. Representing a major residential property developer in disputes against a civil engineering firm, a water company, and homeowners' associations, arising out of various large-scale residential developments in both Phoenix and Tucson, Arizona. Representing one of the largest contractors in the nation in various construction and contracting-related matters in Arizona, including a multimillion-dollar dispute brought by a school district over a wastewater treatment plant, that resulted in a dismissal of all claims. Serving as Arizona litigation counsel for the world's leading manufacturer of heavy construction equipment, including second-chairing a breach of warranty trial in Maricopa County Superior Court that resulted in a defense verdict and a full award of attorneys' fees. Representing lenders in connection with multimillion-dollar deficiency and lender liability claims arising from construction projects around the Valley. Serving as primary outside counsel in the western region for a national environmental, geotechnical, and civil engineering firm. Representing electrical, grading, and painting contractors in construction disputes and contract negotiations. Representing a national owner and manager of senior living communities in construction defect and insurance coverage-related disputes. Representing developers in construction defect litigation relating to luxury condominiums and condominium conversion projects in Phoenix. Representing an international insurance broker in various proceedings arising out of the collapse of a casino parking garage that was part of a multimillion-dollar construction project. Defending a homebuilder in construction defect trials that resulted in defense verdicts. Obtained early dismissal of Arizona Securities Act claims alleged against directors and officers of a marketing company that published the largest circulating in-flight catalog in the world. Representing direct sales companies in federal class action “Racketeering Influenced and Corrupt Organizations Act” (RICO) and consumer fraud lawsuits. Representing a direct sales company in a high-profile FTC enforcement action alleging pyramid scheme and income misrepresentation claims under Section 5 of the FTC Act. Representing direct sales companies in FTC and state attorneys general investigations, including responding to Civil Investigative Demands. Representing direct sales companies in claims against distributors, including TRO and preliminary injunction proceedings to prevent distributor raiding, breach of contract claims, and trade secrets claims. Counseling companies on dispute resolution procedures, including arbitration, mediation and class action waiver policies. Defending the owner of FCC-issued licenses for broadcast spectrum in a multimillion-dollar broker commission dispute that resulted in a dismissal of the broker's claims after a one-week arbitration. Representing a prominent Tucson resort in an Arizona Antitrust lawsuit that resulted in summary judgment in our client's favor at the trial court, which was affirmed by the Arizona Court of Appeals.